14ymedio, Madrid, 5 April 2017 — Cuba controls everything that happens in Venezuela through an electronic eavesdropping center, according to statements made to the Spanish newspaper ABC by Gyoris Guzmán, who between 2013 and 2015 was the director general of Venezuela’s Office Against Organized Crime and Terrorism Financing. Information obtained by Venezuela’s Center for Security and Protection of the Homeland (CESPPA) continues to be controlled by Cuban intelligence services according to this information. 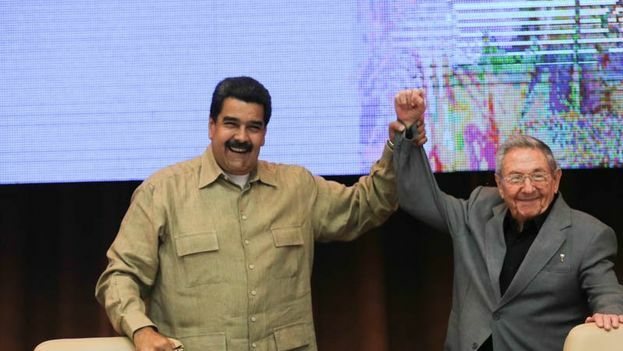 The Venezuelan center was created by Nicolás Maduro in 2013 to unify confidential information previously dispersed between the Military Intelligence Directorate (DIM), the Bolivarian National Intelligence Service (SEBIN) and the police forces. CESSPA employs a group of hackers and electronic experts that controls electronic eavesdropping in addition to the usual information mechanisms of the security bodies. “All this information ends up in the hands of the Cuban intelligence services, the G2,” says the former Chavista official, who has applied for asylum in Spain, and was invited to give a lecture on CESPPA. Guzman also referred to the favorable treatment received by Cuban commanders in Venezuela and told ABC that, as head of the Office Against Organized Crime, he administered property seized from criminals and his superiors made him turn over a waterfront beach apartment in Tucacas to Colonel Camilo, who was also provided a truck that had been seized.